Exceptional quality standards are maintained by LifeLink Tissue Bank to provide for the safety and clinical effectiveness of musculoskeletal allografts and to ensure patient protection. All phases of processing adhere to the guidelines and standards of the American Association of Tissue Banks (AATB) and the U.S. Food and Drug Administration (FDA). Our rigid donor selection process includes a thorough review of the donor’s medical history, social history, and autopsy results (if applicable). The recovery of all musculoskeletal allografts is performed utilizing zone recovery and sequencing techniques, under aseptic conditions from carefully screened donors. All bone and soft tissue is processed in ISO Class 5 clean rooms under strict aseptic conditions. If an autopsy is performed, the Medical Director or physician designee shall review the autopsy findings before the release of tissue for clinical use. Comprehensive serologic studies are performed meeting the requirements of the FDA. An average of 55 cultures are performed on each donor’s tissue during recovery and throughout processing. As a final safety measure, destructive testing is performed on 10% of each donor’s tissue to detect the presence of microorganisms. *Organ and/or tissue donors who have emigrated from areas where the Chagas parasite is endemic. All tissue processed by LifeLink is released only after a satisfactory review of the donor’s record (including final autopsy report if applicable) has been completed by the Medical Director. LifeLink’s Medical Director is a licensed physician with specific qualifications and experience in tissue banking. LifeLink Tissue Bank has a comprehensive Quality Assurance (QA) program that monitors all of LifeLink’s tissue banking operations in order to prevent the introduction, transmission, or spread of communicable disease and to ensure that regulatory requirements are fulfilled. The QA department’s purpose is to ensure the safety of LifeLink allograft recipients and the continued regulatory compliance of all LifeLink recovery divisions and partners. 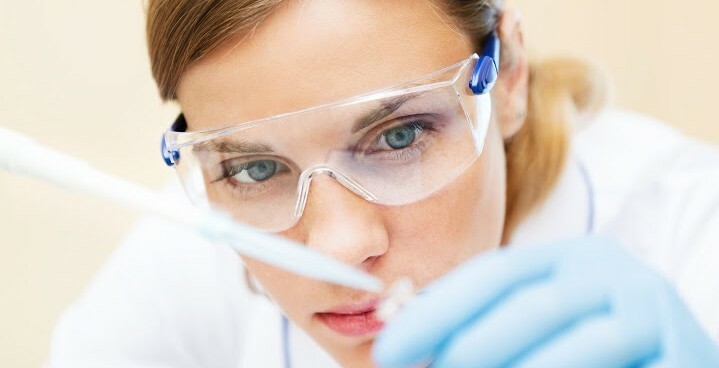 Works closely with all departments within the Tissue Bank and with all of LifeLink’s recovery divisions and Partners to facilitate and assist in overall Quality Assurance compliance. Reviews all donor screening, procurement, and processing records prior to the release of allografts for clinical use. Oversees/performs environmental monitoring of the processing rooms and ancillary areas to ensure that the environment is within appropriate limits for that area’s classification. Oversees or performs process /equipment validations and calibrations. A tracking system is in place to assure that these procedures are performed at the appropriate intervals. Investigates all error/accidents, complaints, and reported adverse outcomes. Performs numerous internal audits of all departments and processes throughout the year. Performs external audits of recovery agencies partners on a bi-ennial basis. Participates in the creation, implementation, training and maintenance of tissue bank SOPs. Works with recovery divisions and Partners in joint SOP development to standardize procedures from one facility to another. LifeLink Tissue Bank has its own on-site Microbiology Laboratory that is certified by the Clinical Laboratory Improvement Amendment (CLIA), and holds national accreditation by the College of American Pathologists (CAP).